Do you want all your essentials at your bedside but just don’t have enough space? There are moments in life when you simply want to stay in bed working, studying or resting uninterrupted. Then, your laptop or phone dies and you have to get up to get the charger, or you forgot some pen and paper, or the remote on the bureau, or just a sip of your drink. What if you’re sharing the room with your siblings or college dorm roommates but there ain't much space left for a bedside table or shelves. And when traveling, there isn't room left after unpacking your suitcase. 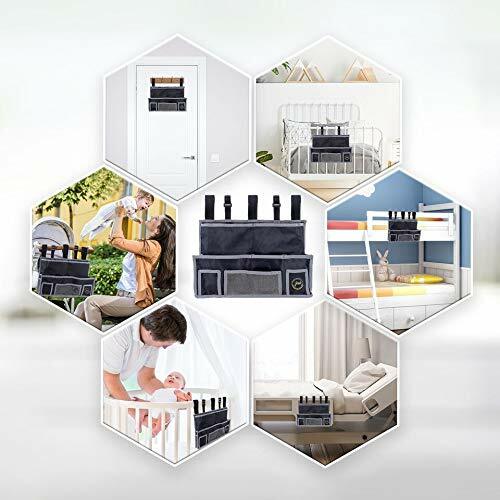 JOED Bedside Caddy gives you convenience of your accessories within arm’s reach. Now, you can have study materials, gadgets and personal items at your bedside without wasting precious space. With 10 compartments, you can fit all your necessities in this organizer. 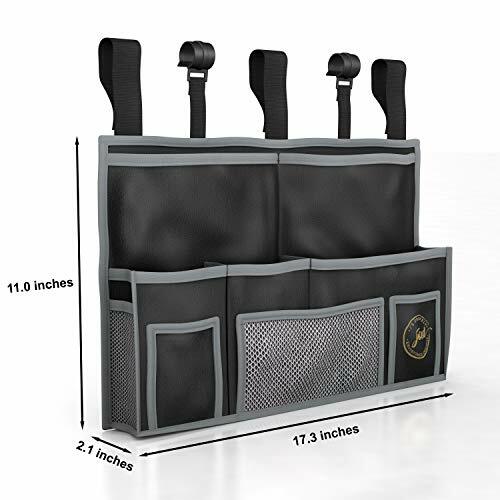 It acts as a car organizer, remote holder for bed, stroller organizer, sink caddy, bathroom caddy. 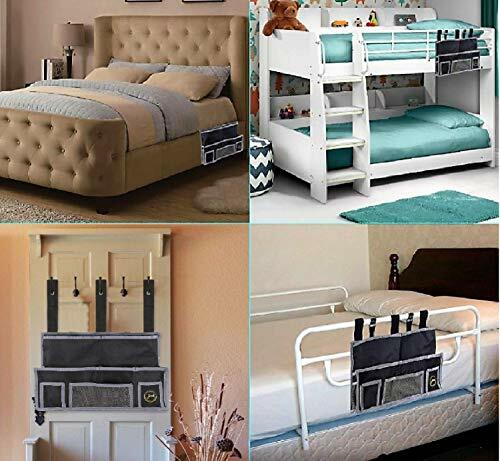 You can hang it at your headboard, beside or at the end of your bed..unlimited options!! 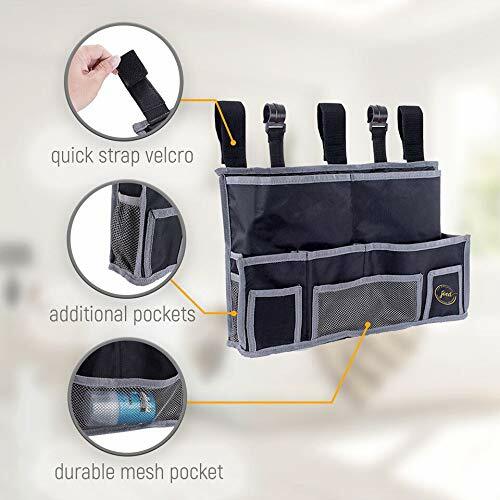 Not just indoors, this portable caddy is also your perfect travel companion for a road trip, camping or overseas. Keep your most used items in it, attach it to your headboard at the end of the day. Then, hang it on the bathroom hook in the morning. No need to transfer stuff from one case to another. Enjoy the convenience of having your essentials on your bedside, even in a small space. 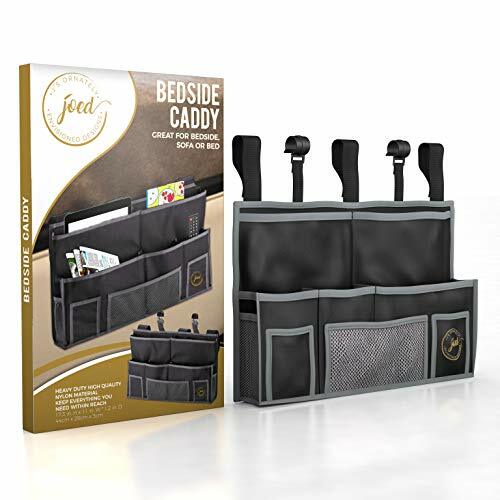 Add JOED Bedside Caddy to your cart now! 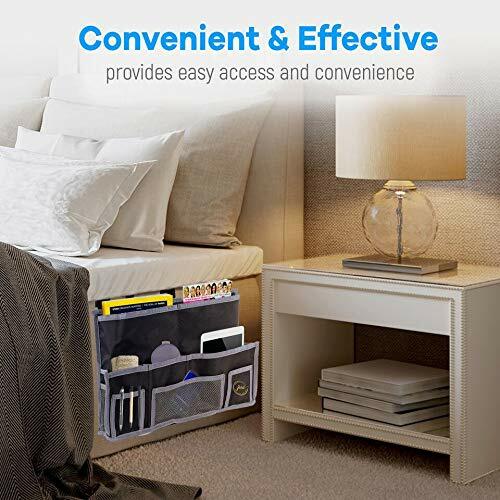 ✔️ LARGER & STURDIER - This bedside organizer can hold a tablet, books and magazines in 5 large, deep pockets. Plus 5 smaller pockets for your phone, earphones, eyeglasses, TV remote and pens. 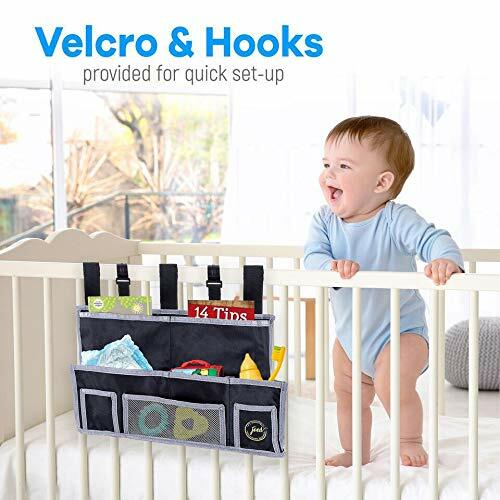 ✔️ NO MORE SAGGY BED CADDY - Made of 100% premium nylon, this storage doesn't take up much space but is firm enough to stay in place. It holds its shape and won't sag even when filled with stuff. 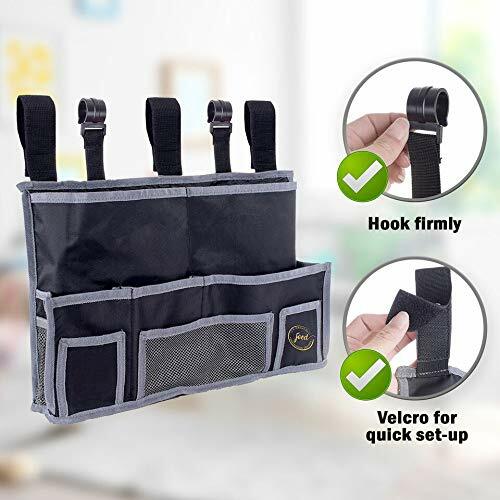 ✔️ MOUNT VIRTUALLY EVERYWHERE - Our organizers comes with high quality velcro straps and stainless steel grommets. You can hang on a chair, headboard, hospital bed rail and the side of a table top. ✔️ CONVENIENT & READY TO USE - No assembly needed. Simply attach it to your bedside and start organizing your essentials. Then you can study, work, read, rest or watch TV without getting up constantly, all within arm's reach. 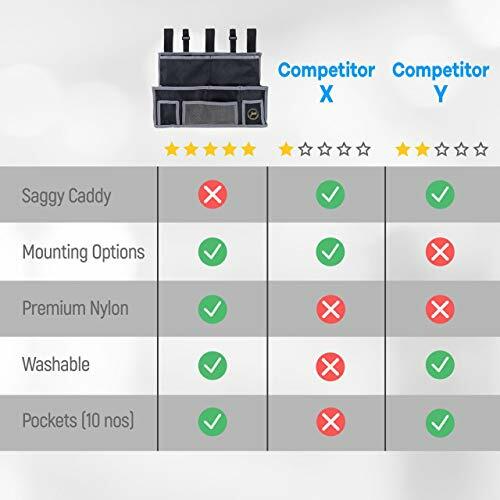 ✔️ SATISFACTION GUARANTEE - Each order of JOED Bedside Pocket is risk-free. If you're not 100% satisfied, just let us know and we'll send you a no-questions-asked full refund.